Domestic fuel prices usually rise immediately following hikes in global fuel prices. However, recently when world prices have fallen, the domestic ones have remained unchanged. 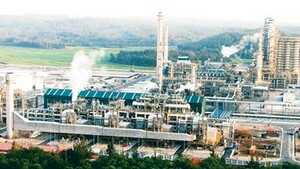 Vuong Thai Dung, deputy general director of Vietnam National Petroleum Corporation (Petrolimex), said the company reaped profits when prices of petrol and oil on the world market dropped during the past four to five days. According to Petrolimex’s calculation, a barrel of Ron 92 gasoline was traded at US$80.66 on July 12, down nearly US$1, but the average price of the 30 days that led up to July 12 was US$81.38 a barrel (equal to 159 litters). After adding taxes and other fees, the basic price of gasoline usually increases by 3.1 percent, and that of diesel oil, kerosene and mazut increases by 2.3, 3 and 1.3 percent respectively. Experts said though fuel prices are calculated based on public figures, it is hard to know if fuel companies really suffer losses or make profits based on the prices they report. 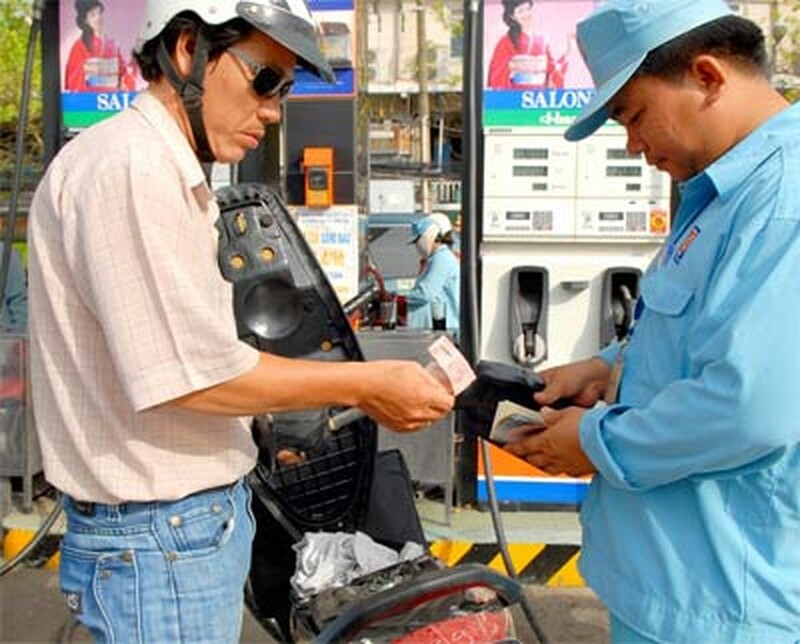 At present, local petrol businesses are applying the maximum business cost rate of VND600 per litter, which was fixed by the Finance Ministry in 2009, meanwhile, a mechanism to monitor the cost, which differs among various enterprises, has yet to emerge. In addition, enterprises usually do not state the selling price of US dollars, which they buy from commercial banks according to regulations, making it difficult to determine their basic fuel prices. Local petrol companies raise their prices right after seeing increases in the world price, but not wanting to reduce prices, they do very little when the world prices drop. Economist blamed it on the inadequacy of Decree 84, which took effect December 15, 2009. The decree, a new mechanism for petrol and oil trade, lets fuel suppliers adjust petrol and oil retail prices when global prices fluctuate. The decree states that when costs that constitute basic prices decrease by less than 12 percent compared with current retail prices, enterprises must reduce retail prices by an equivalent amount. If basic prices drop by over 12 percent, enterprises have to continue to reduce retail prices. The number of price reductions and period between two reductions are not limited. However, only enterprises and management agencies know actual costs, consumers do not know when basic prices drop and how much they drop. All they know comes from announcements made by enterprises. Noticeably, while the decree expands the rate for reduction to 12 percent, it narrows the rate for price hikes down to 7 percent. According to the decree, when price changes result in losses of up to 7 per cent, companies are allowed to raise retail prices by an equivalent amount. Only three price hikes are permitted in any one month, and they must be at least 10 days apart. When losses are in the range of 7 per cent to 12 per cent, enterprises can raise the retail price by at least 7 per cent. If their costs increase suddenly by over 12 per cent, the State will intervene to stabilize the market with taxes or draw from the price-stabilizing fund. With the aforementioned regulation, local petrol suppliers have raised their prices immediately when petrol prices on the world market rose even slightly. Dr. Vu Dinh Anh, deputy head of the Market and Price Research Institute, said the Government should intervene and control fuel prices by fixing ceiling prices, in a bid to diminish rights of fuel suppliers in setting their own domestic retail prices. National Assembly deputies and economists said some regulations of Decree 84 need to be reviewed to prevent rapid hikes, and small and slow cuts in fuel prices.